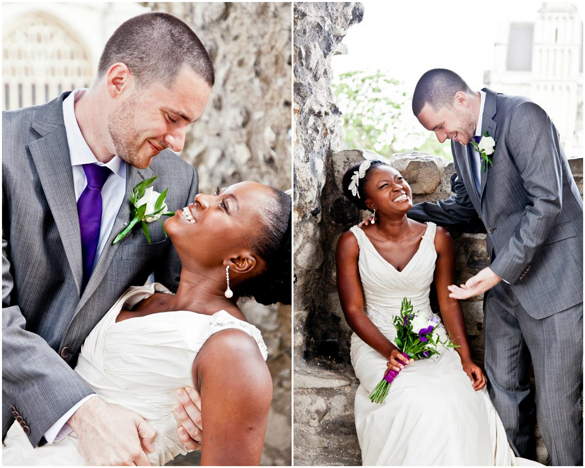 We have a very lovely wedding with a very gorgeous couple from across the pond today. 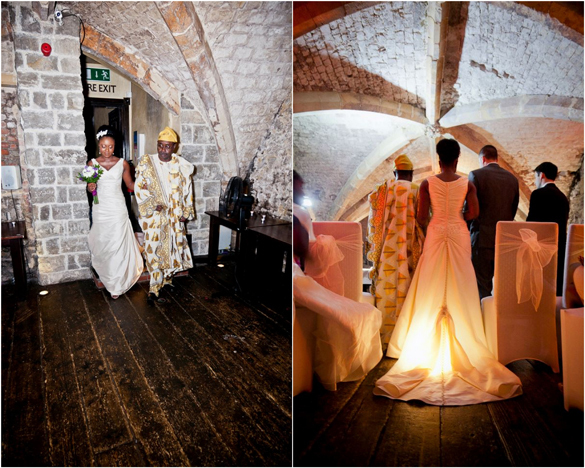 Irene and Aaron got married in the United Kingdom and their ceremony and reception were held in a romantic wine vault that dates back to the 14th century! 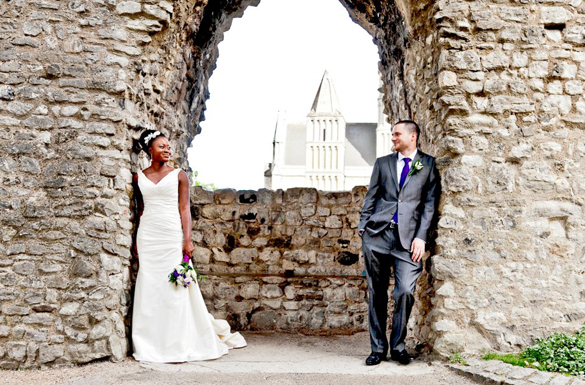 And if that isn't rich enough in history for you--Irene and Aaron had their pictures taken outside of Rochester Cathedral and Castle--England's second oldest cathedral--founded in 604 AD. So cool. But, here's beautiful Irene to tell us more about their day and their relationship. 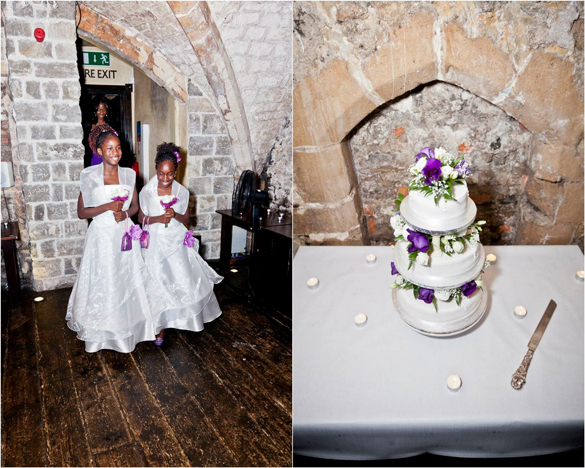 Ceremony & Reception: a 14th century bar called The George Vaults. Traveling alone, Aaron and I met in the Philippines in 2009. Since then we have traveled to many countries together and maintained a long distance relationship before getting married 14 August 2011. It was an intimate wedding of about 50 people. 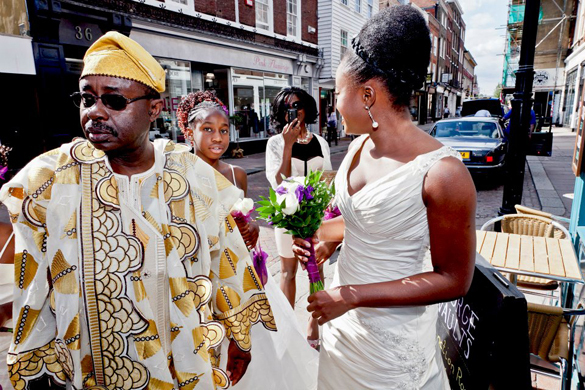 I’m British and my family is Nigerian so this had a lot of influence on the theme of the wedding, as most of my family wore native Nigerian clothing. However it also had a traditional English influence as it took place in Kent, UK. 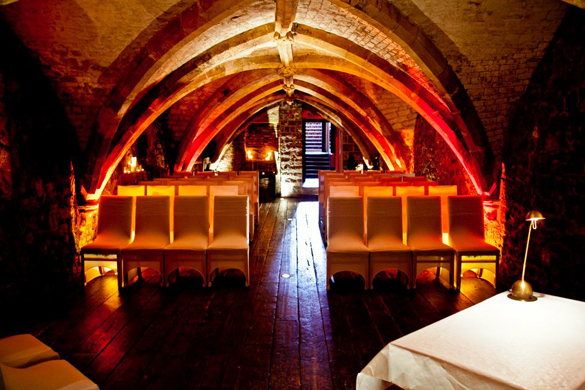 The wedding took place in a bar called the George Vaults which has as a 14th-century vault in the basement. There was a very romantic atmosphere as it was small and intimate and lit up with candles. The ceremony and reception were in the same place. They just rearranged the tables and chairs. was when we were announced husband and wife and I walked out of there with my new husband. Taking pictures was also a lovely experience. 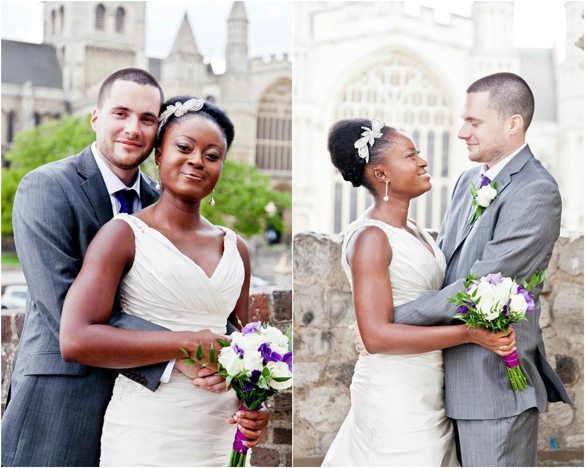 We were able to take pictures outside Rochester Cathedral and Castle as the venue is opposite those two sites. The reception was also a lot of fun as we love to dance. 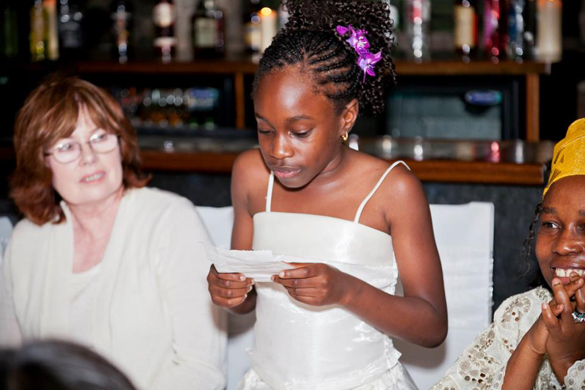 The speeches from my brother-in-law, father and my 11 year-old sister were all amazing. My little sister surprised everyone and did a toast for us. The ceremony itself was also very beautiful and went really well. The venue took care of the catering and decorations and it was so much easier having the ceremony and reception in the same place. Most of my family came down from London so they didn’t know the area. It would have been a lot of hassle having the reception in a different location. I’m glad we didn’t have to worry about finding a separate caterer and decorator. It was very straightforward doing it that way. Check and double-check bookings over and over to ensure people who say they were going to do something don’t let you down at the last minute. Relying on family and friends helps to cut costs but sometimes it can cause more stress than it’s worth. Compromise as much as you are willing to--in order to keep family members happy--but once you have reached that point don’t budge, or you will end up having the type of wedding you never wanted. Keep it simple and don’t let people pressure you into doing what you don’t want. 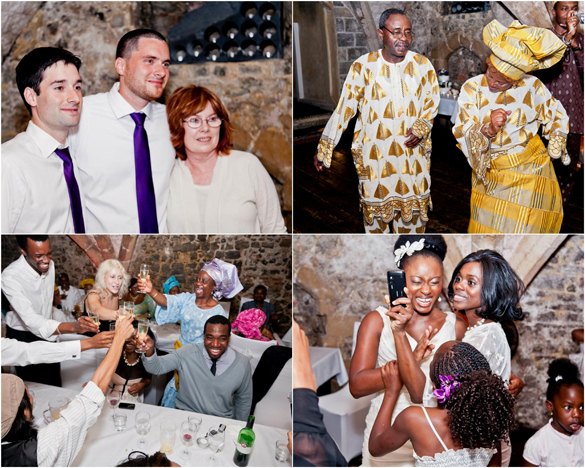 People are still shocked that we managed to have a small intimate wedding considering my Nigerian background. 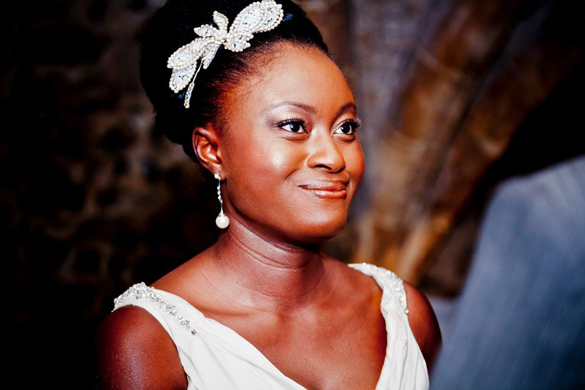 Weddings in Nigeria are usually like carnivals! Don’t lose sight of what the day is really about and remember, it’s yours and your spouse’s day. You can’t please everyone, so just stick to what you want as a couple. Also, ask for money instead of gifts. You can request contributions towards your honeymoon for example. It’s much better than getting random gifts that you may not need or may not go with anything in your house. We had to move to a new country so we didn’t want a lot of stuff. Irene & Aaron personalized "Wall of Love" Thank You Cards. Their prices were so reasonable and they also did a 1 hour video with all the highlights of the day and behind the scenes footage. MagnetStreet has a good selection of designs for our thank you cards. We sent the original invitations via email. 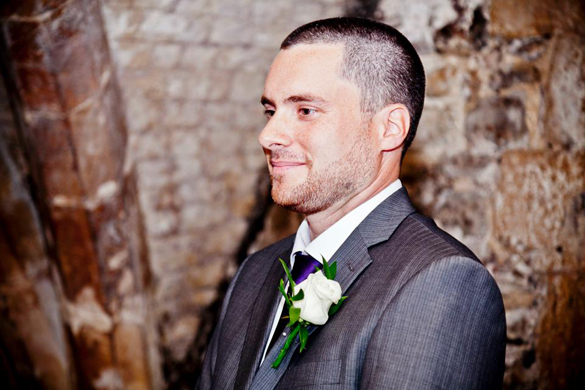 We used Smilebox so it was a selection of pictures of us on our various travels together and it was accompanied with our song – Stevie Wonder for your love. However, as we sent the invitations via email, we wanted to send real thank you cards with some nice photos as a keepsake. I was impressed with how easy the website was to use and the range of designs available to choose from. Thank you Irene and Aaron for sharing your spectacular day! We wish you every bit of happiness as you *journey* through life together! Submitted 6 years 12 months ago by Heidi. What a beautiful couple and wedding! I'm also having a multicultural wedding, so it's fun/inspiring to see how other couples integrate those elements into their wedding day. Congrats to Irene and Aaron! Beautiful couple and the location looks amazing! Love the purple, too! 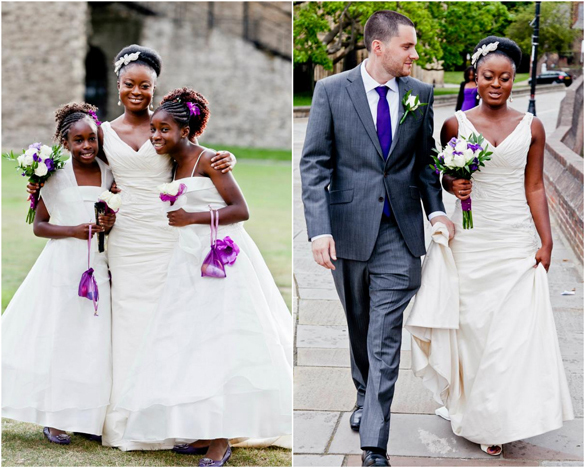 I loved the pictures,funny this is the color scheme(cadbury purple). 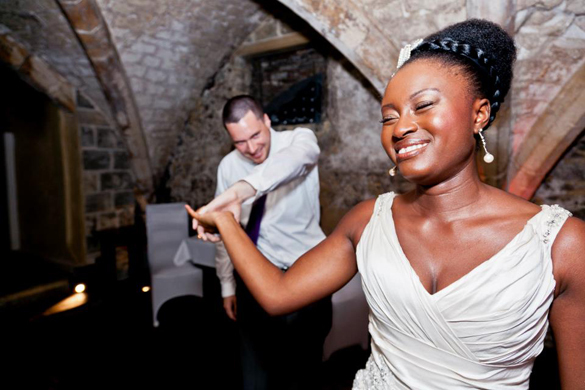 I have chosen for my wedding,I am also Nigerian and my Fiance is English and its to be held in a vaulted basement...lol....very identical i'd say.I liked your advice on doing what I want as it is my day and my spouse's. Great pictures you have!